Popular for many years as the upgrade instrument of choice, the precision bore is close to that of a professional instrument. This high quality instrument is at the top of the Buffet intermediate range. 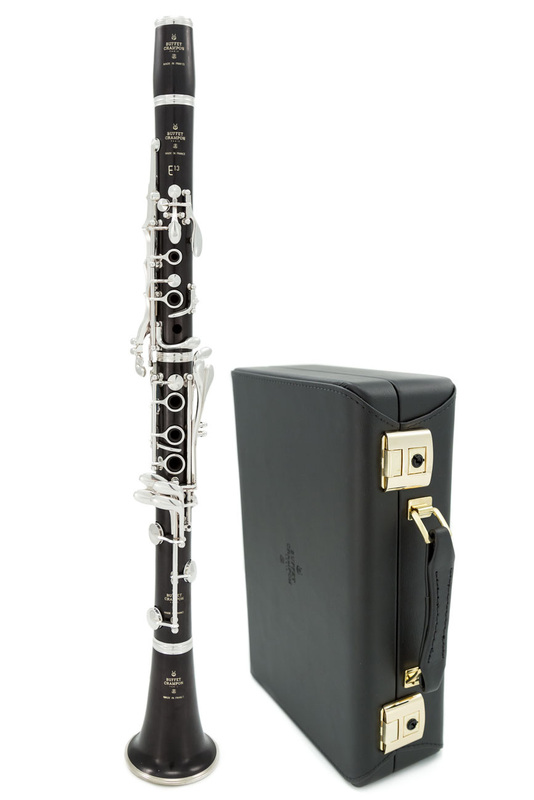 Recently updated the Buffet E13 now comes with white leather pads for added durability and improved feel, the case has also been upgraded to reflect this new higher quality specification.The instrument also has had a modification to the bell, inheriting the bell design from the pro model RC. This now gives more projection and brightness of tone across the whole range of the instrument. Free blowing with great response and tonal flexibility. The Buffet E13 is always a joy to play with its broad tone and accurate tuning scale. This clarinet is also extremely comfortable to play thanks to its ergonomic keywork.